New Physiotherapy Clinic in Gateshead! Today we are celebrating the 1 week birthday of our new Physiotherapy Clinic in Gateshead! The new clinic opened it’s doors to the public last week, the first week of 2017, and is already shaping up to be a great addition to our North East sites. 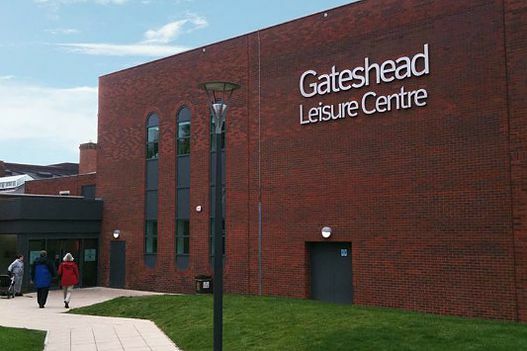 We are based just inside the Gateshead Leisure Centre, right in the centre of town. This allows us to provide accessible cover to the surrounding area as well as the whole of Newcastle-upon-Tyne. The Council owned Leisure Centre is located just to the side of reception as is fully disabled accessible with parking just outside. If you live locally and wish to be assessed either as a private patient or using many recognised health insurance providers (such as BUPA, AXA, AVIVA, Nuffield, and others) then expert treatment is only a phone call away. Please call our dedicated admin and booking team on our local rate number 03300 41 46 70 or email admin@sanophysiotherapy.com. We are ready and able to treat many common and long-standing muskuloskeletal problems and, should you find yourself in need, we look forward to seeing you soon. New Physiotherapy Clinic in Darlington! New Physiotherapy Clinic in Redcar!